Shop online for 37 pacer glues at discounts up to 45%. CA Super Glue Accelerator is the most popular of the 8 pacer glues categories, then CA Super Glue, and Miscellaneous. Pacer ZIP KICKER Super-Glue Accelerator is the best working accelerator for ZAP and Other Super Glues. A Little Spritz Works in Seconds. The world's best canopy glue. Works on all materials, and dries clear. This is a package of Pacer Extender Tips for CA Glue Bottles. Pacer ZIP KICKER Super-Glue accelerator is the best working accelerator for ZAP and other super glues you'll ever find! A little spritz works in seconds. This is 2oz bottle of Pacer Zip Kicker with Pump. This is a 5oz Aerosol Can of Zip Kicker by Pacer. 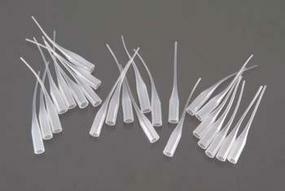 Extra thin Super-Glue for bonding tight-fitting parts. All-purpose adhesive and sealant. Thickest ZAP of all. Great where gaps are too wide for thinner ZAPs. Excellent Gap-Filling Super-Glue Zap-A-Gap 2 oz bottle from Pacer Glues.. Medium viscosity for plastics. Nonflammable. Cures clear. Won't attack paint. Great on most plastic models, car moldings, and vinyl repairs. This is a 1oz Bottle of Slo-Zap CA Glue from Pacer. Not safe for foam. For foam applications use epoxy or foam-safe CA. This is a 2oz Bottle of Slo-Zap CA Glue from Pacer. Not safe for foam. For foam applications use epoxy or foam-safe CA. 15 min. work time, cures in 30. Great for fiberglass fuselages, boat hulls, skinning foam parts. Equal-mix, accepts balloon filler for forming fillets.